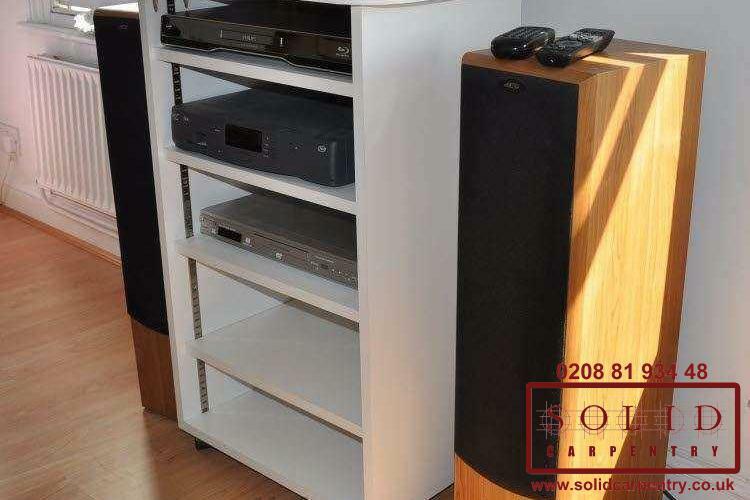 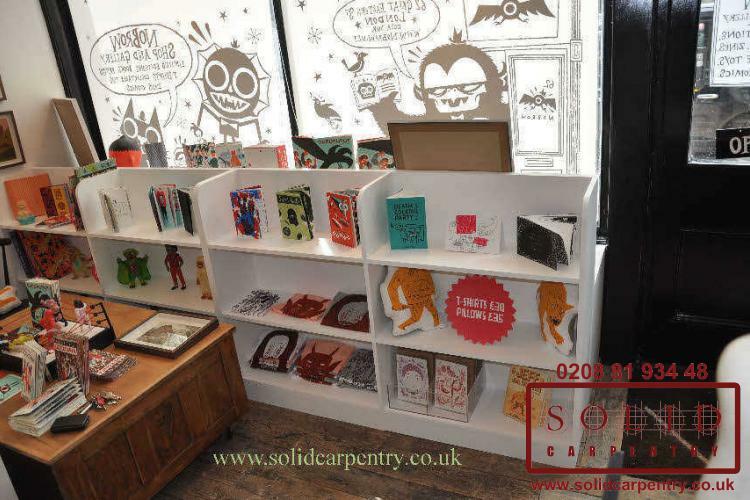 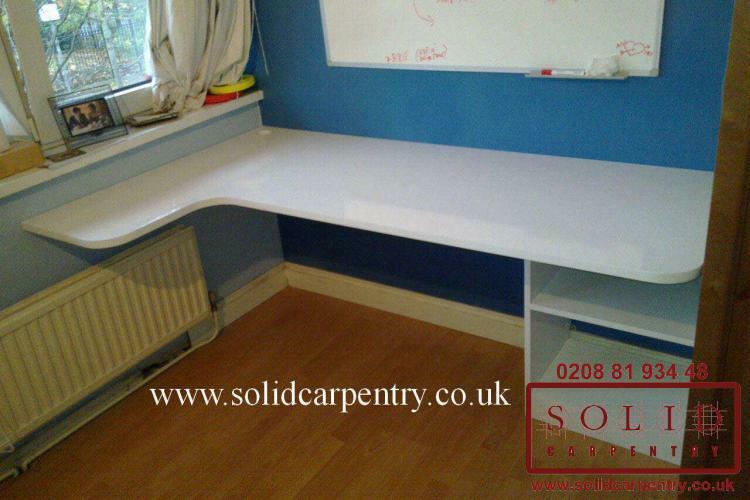 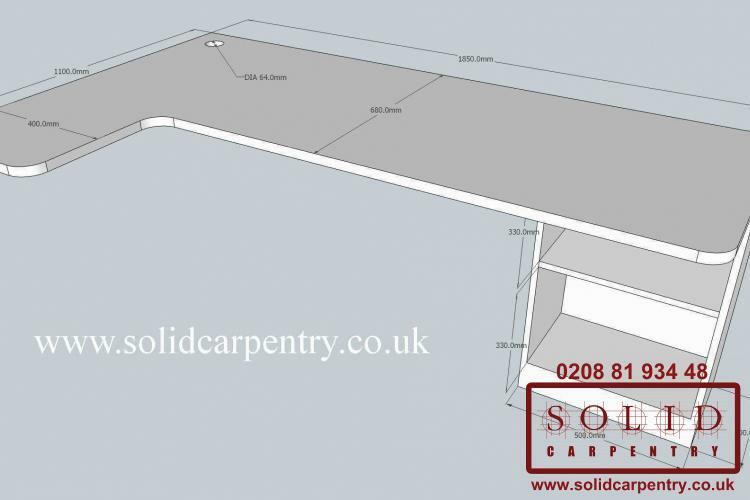 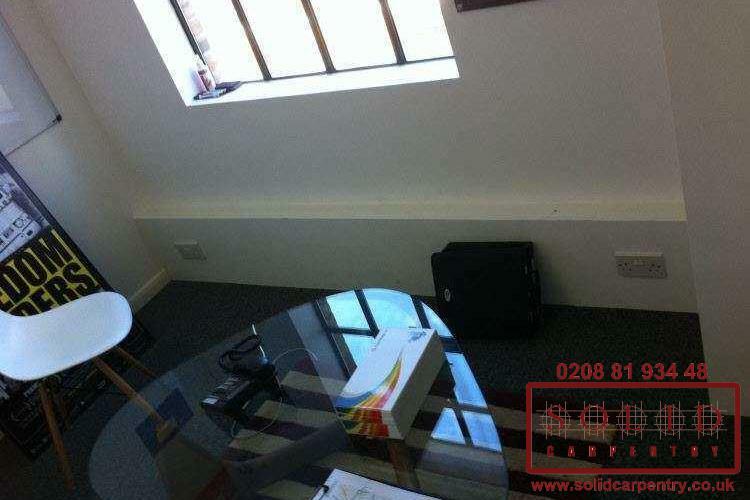 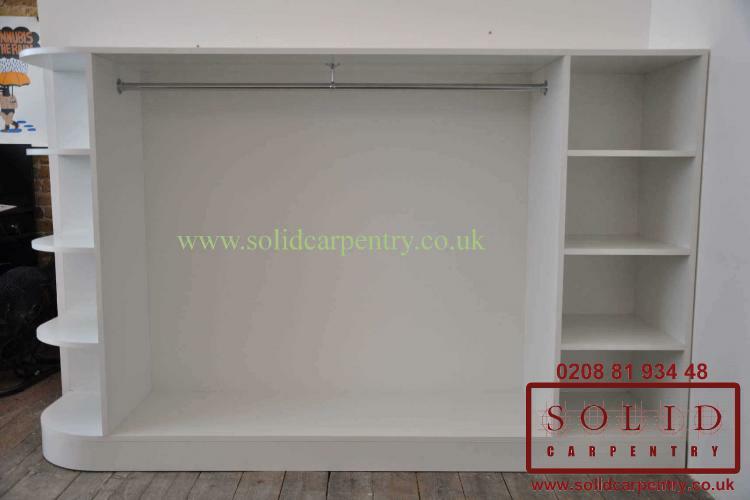 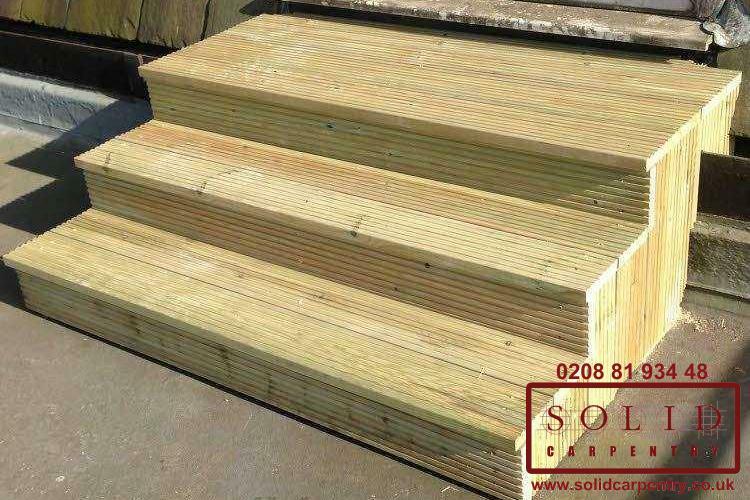 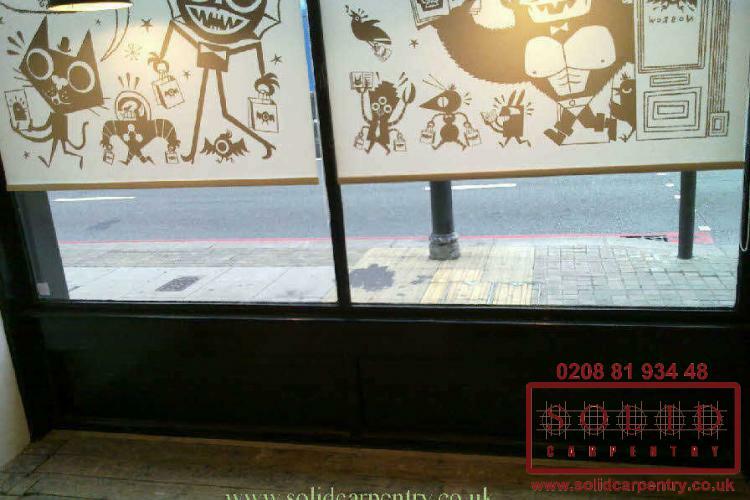 As you can see in this slideshow of images, whatever your storage or furniture needs, the team at Solid Carpentry can fulfil your requirements. 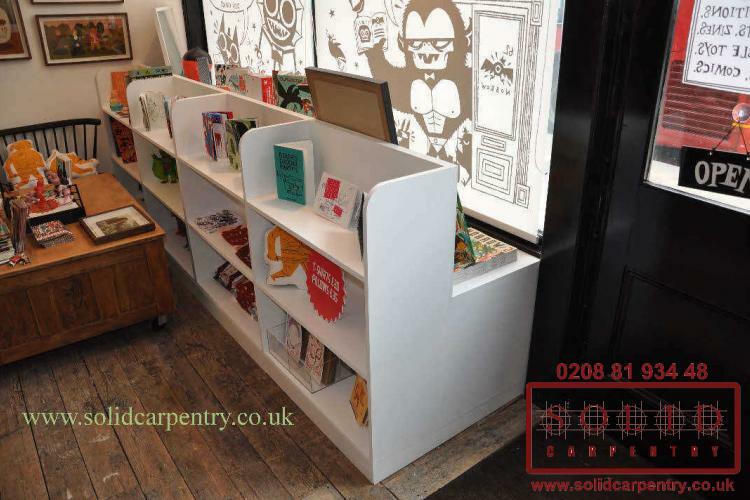 The examples above showcase just a few of our custom-made furniture designs including book display units for businesses, wooden desks for home offices, and bespoke designed staircases for the home or garden. 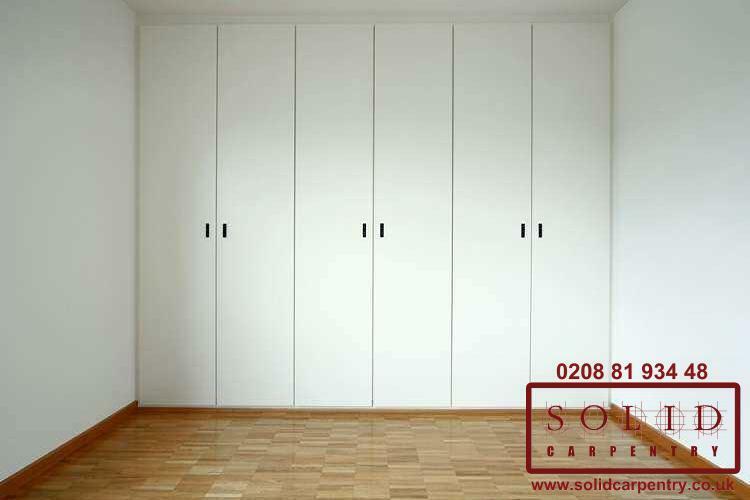 Our multi-skilled carpenters and joiners can also design and build fitted wardrobes, bespoke shelving units, and made-to-measure storage cabinets or benches for anywhere in your home or business. 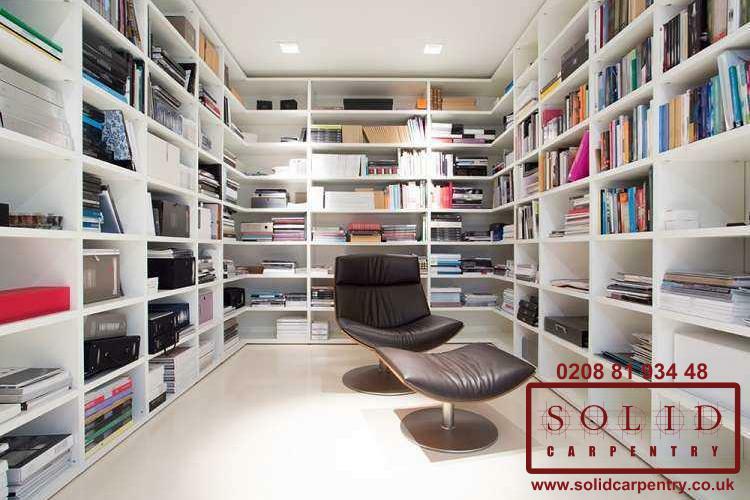 Working closely with our customers and providing a truly tailored service means listening to their needs and understanding what they want to achieve with their bespoke design. 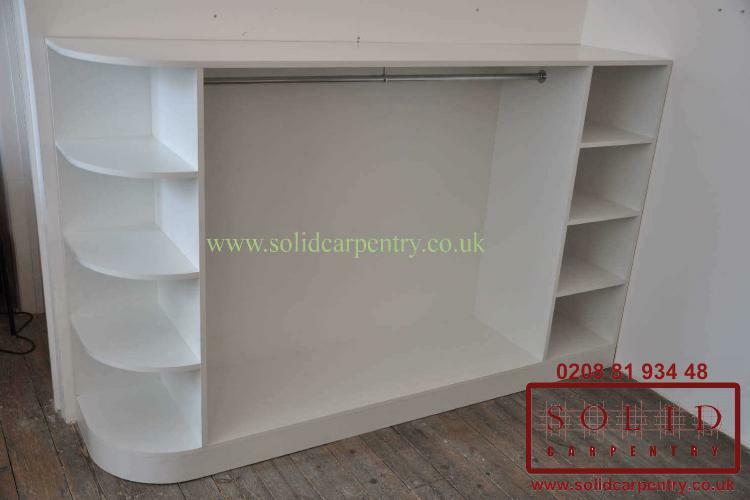 As seen in the gallery at the left, this can mean designing a furniture solution that provides more seating space in a small or awkwardly shaped room, installing a home desk into the corner of a bedroom, or crafting an unusually shaped bookcase to make the most of the available space on a shop floor. 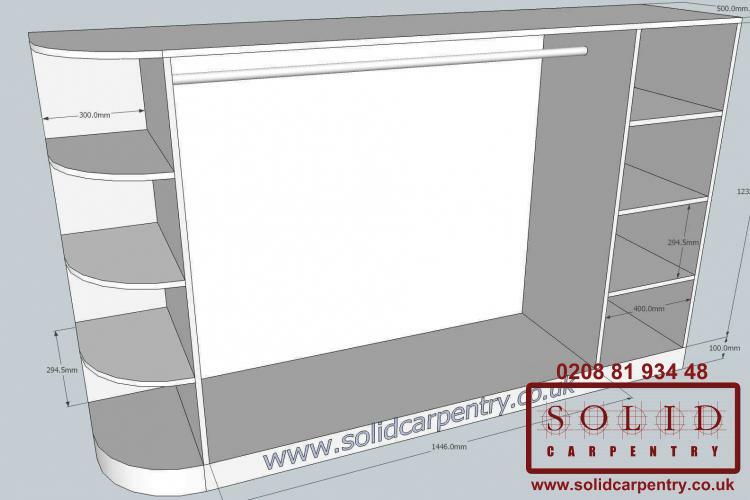 From day one, we will work with you to create the exact bespoke furniture solution you have wished-for. 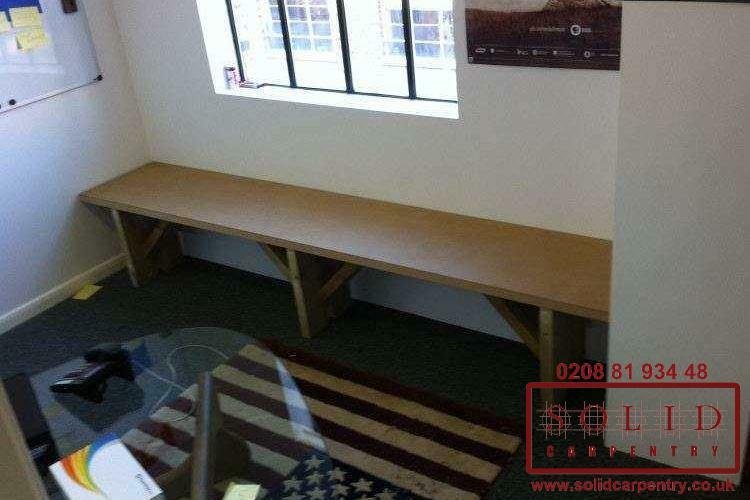 Bespoke carpentry services offer countless possibilities to maximise on the space in your home or office, improve the overall look of your living or working space, or simply create a truly unique piece of furniture. 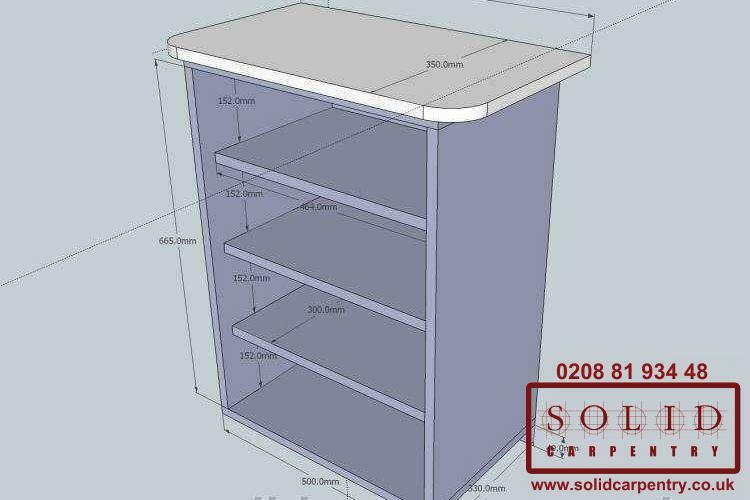 Thanks to a combination of the expertise of our carpenters and joiners and our use of the most up-to-date machinery, the team at Solid Carpentry can produce the best in bespoke carpentry solutions. 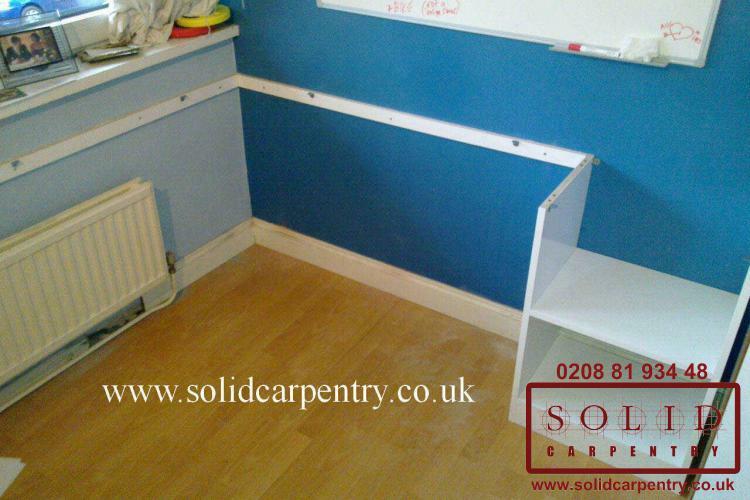 With more than 15 years’ experience in the carpentry field, no request is too big or too complicated. 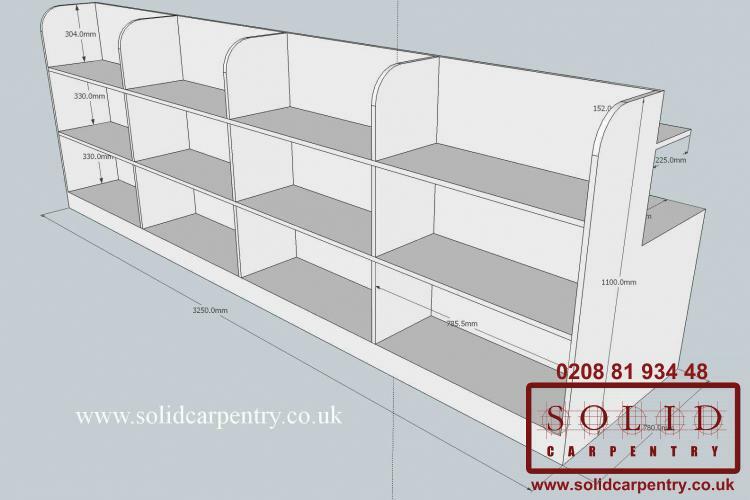 Get in touch today to discuss your bespoke carpentry and joinery needs. 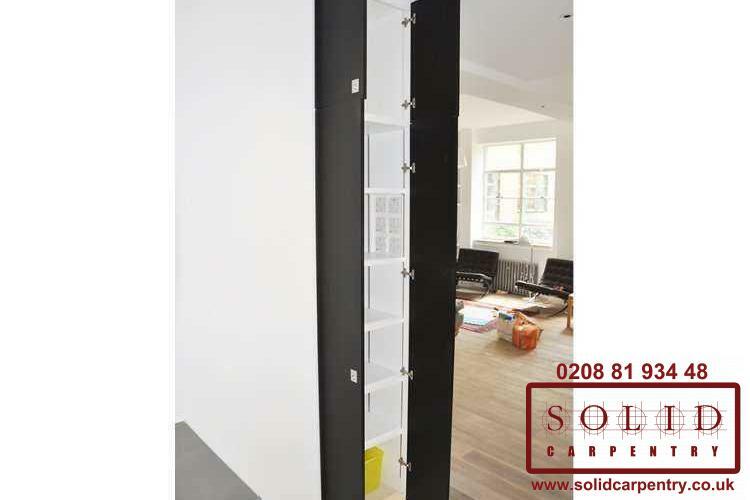 A member of our team will talk through your requirements and provide you with a free no-obligation quote – your made-to-measure furniture is just a phone call away!